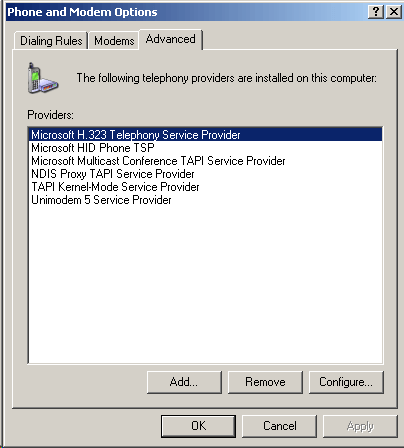 Microsoft Windows offers a TAPI interface that provides telephony services for applications wishing to use it. 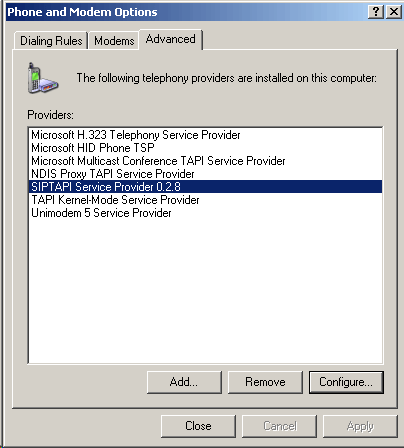 SIPTAPI (Session, Initiation, Protocol, Telephony, Application, Program, Interface) is a free TAPI application driver that enables you to use your SIP account, for the purpose of initiating a call from your computer. 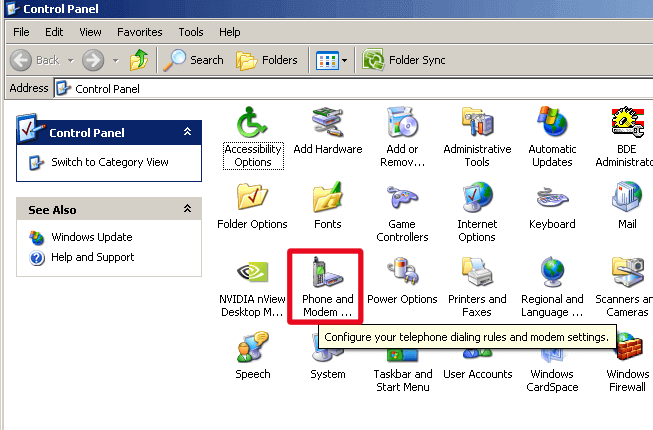 This will for example, allow you to call a contact number in the MS Outlook address book, with ease. The instructions below will assist you in setting up a SIPTAPI. After pressing the dial button, the PBX calls your phone and once you pick it up, it calls the destination number. To set it up, you will need to have your telephone extension number and the password. After unzipping, move the siptapi.tsp file to your %SystemRoot%/System32 folder (for example C:\WINDOWS\System32 in XP). 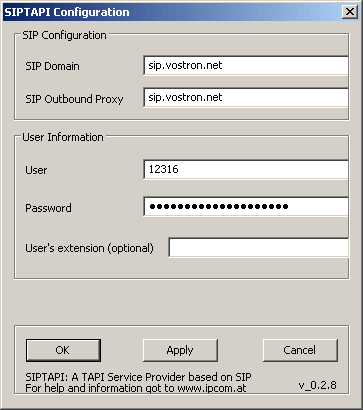 SIP Domain and Outbound proxy should be set to sip.vostron.net. 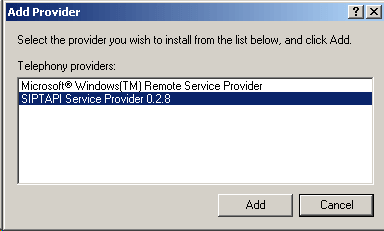 The User is your telephone extension and the password to enter is your telephone SIP account password. NOW YOU’RE SET UP AND READY TO GO! We hope these instructions were easy to follow and your SIPTAPI is now set up. If you need any more assistance or would like to chat about Vostron's Telephony services, simply reach out to one of our friendly team members - through the website or a good old fashioned phone call.